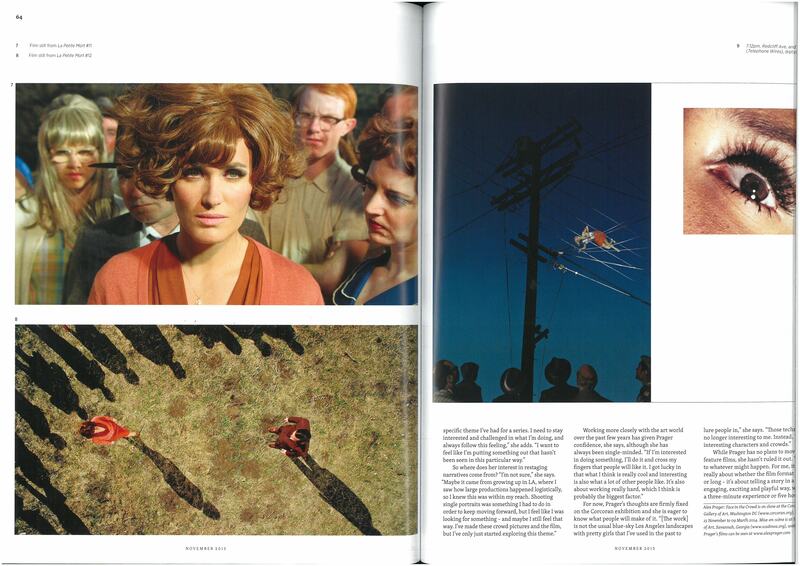 Aesthetica is a British arts and culture magazine. 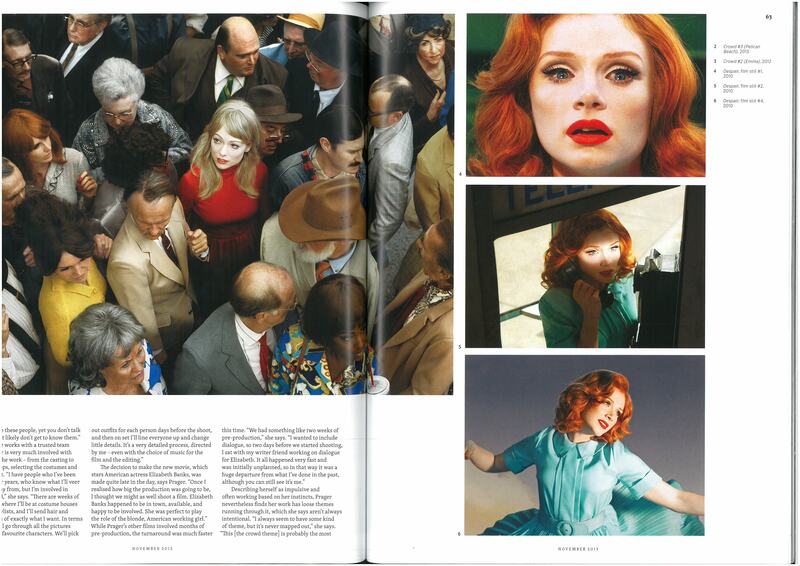 Founded in 2002, Aesthetica Magazine covers literature, visual arts, music, film and theatre. It has a readership of 140,000 and national and international distribution. Aesthetica moves away from the traditions of journalistic and photojournalistic editorial layouts and places itself in a more contemporary category of design, whilst maintaining the crisp simplicity we have seen in previous journals such as the BJP. 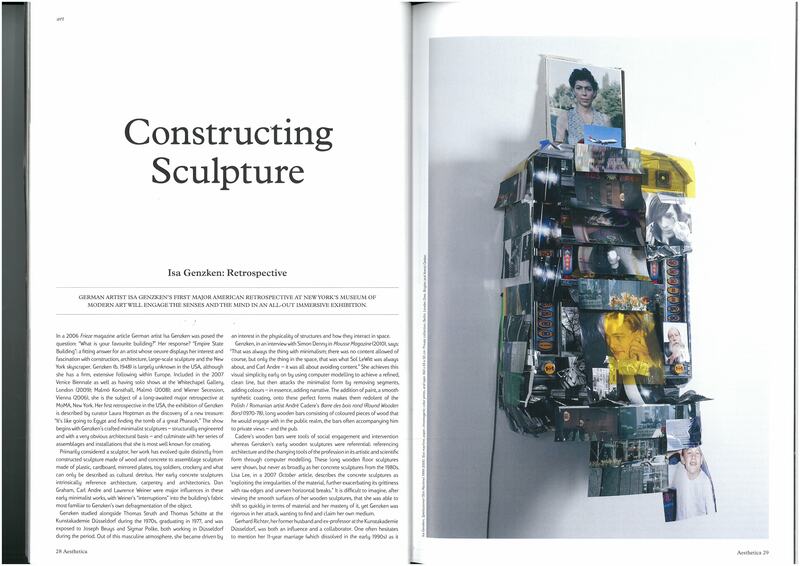 In Constructing Sculpture we have a simple establishing layout with text on one hand, full size portrait image on the other. 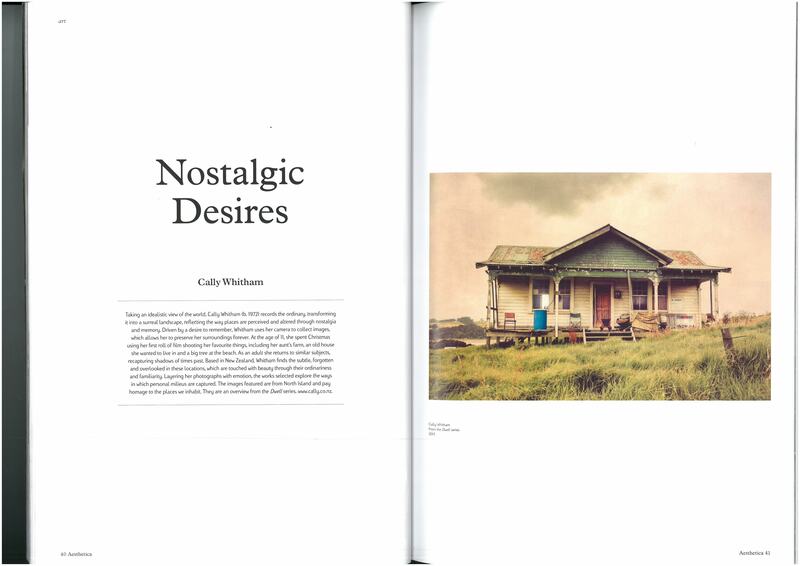 Rather than bleeding the image to the edges of the page, Aesthetic have chosen to place a border around their image. This is something I discussed in a previous blog post about how I felt that a border allows an image to be placed within the design of the image as opposed to creating a division between left and right. Therefore I think this is a good example of how a portrait image can work nicely on a page. By centring the headline, standfirst and the main body of text, Aesthetica lead you away from the news editorial or feature and place their ‘artistic’ stamp on the article, not through complexity but clarity and simplicity. It is impressive how such a basic change in design can communicate a completely different message to the reader, showing how valid design is as its own visual language. Of course, fine art is about letting the art speak for itself and so it is of no shock that the font Aesthetica have chosen for Constructing Sculpture is modest and nondescript. The large indentation around the quote stands out to me to be a deliberate design that mirrors the bold structural content of the article. I’m not sure I like how disruptive it is and would probably have chosen for it to be placed centrally between the top left image and the text, leaving more negative space on the page. Thou shalt not apply more than three typefaces in a document. Always remember that simpliciy reigns over the disarray and confusion that the use of many typefaces causes. The conciseness of the single row of text, which is contained within lines on the page is quaint and lends itself more towards the idea of nostalgia. The images are then left alone on the page, as though it were a photograph album, reinforcing the idea. For a series of pictures where the subject repeats itself as well as the aesthetic, single pictures on a page without text is a good thing. It is more of a portfolio and only needs a small introduction. However, for a photo journalistic story where the images are descriptive and tell a story, it is likely that the images need to be backed up by text. I think what this has shown is how a designer can fashion a layout that helps to reinforce an idea, just as a photographer will choose to employ a yellow colour cast to his photographs for the feeling of nostalgia. 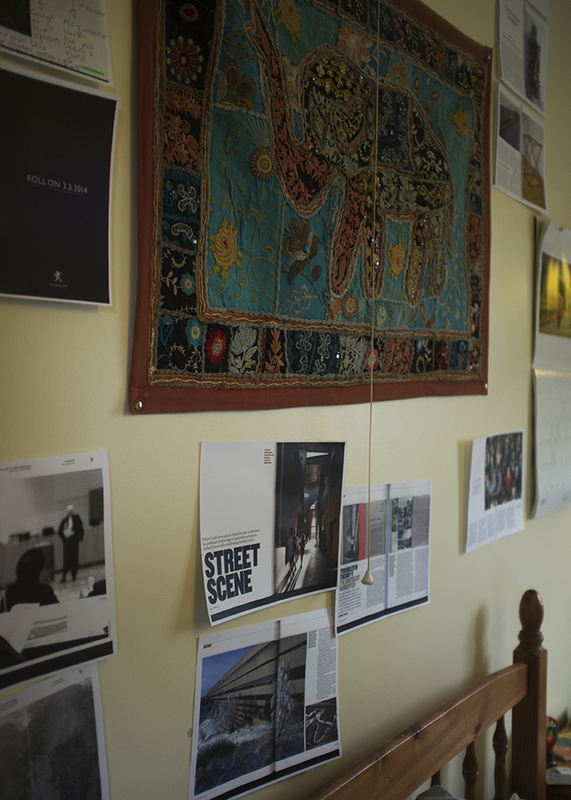 In the last two blogs, I discussed design layouts from a performance art magazine and architectural design magazine. Looking at the British Journal of Photography, we find that the layouts are more driven toward showcasing the content, ie the pictures. 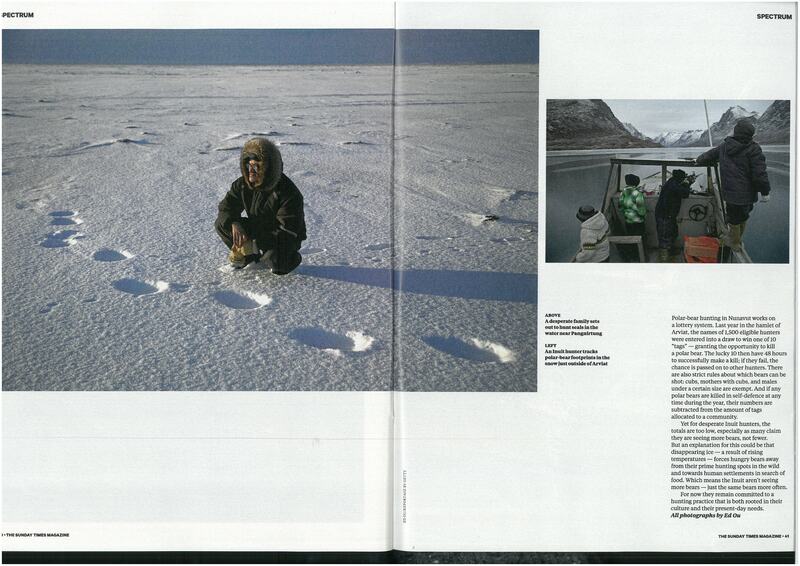 This layout is similar to what we saw from Frakcija and The Sunday Times Magazine. Placing the establishing image confidently across both pages and leaving a column at the side for the headline and standfirst. The difference here is that the columns are organised along the bottom of the page. This is possibly because of the more rectangular format of the picture, but the designer has chosen to leave crisp negative space around the title, which I think I prefer to having a page full of text and image. Again, the layout here is crisp and simple. The more complex, detailed image has been blown up for us to study and is similar to the establishing shot on the first page. In a tighter edit, you might argue that there was not room for both these pictures but in a longer, more in depth article like this, it’s great that both images could be used. By running the three Hollywood style portraits together in a row, there is a clear association between the images, creating structure and flow on the page. The BJP are not worried about cramming words onto the page for the sake of filling space. 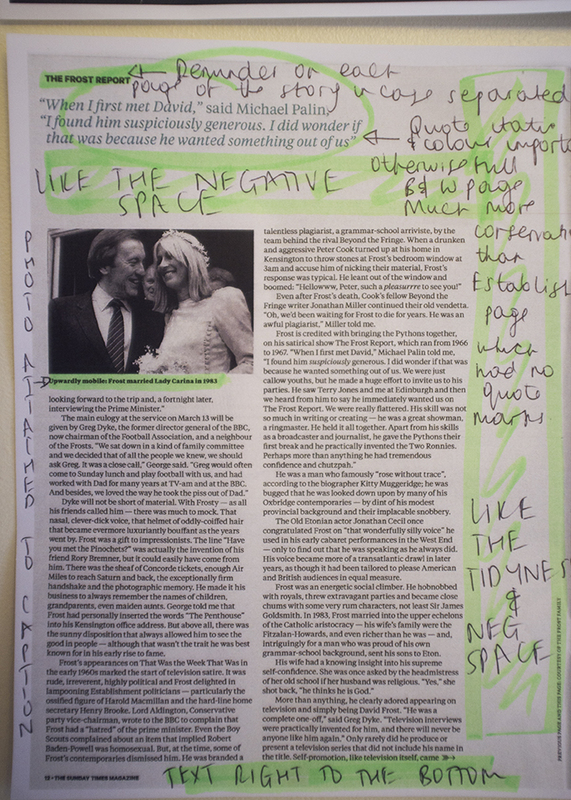 The titles of the pictures have been placed deliberately to create negative space on the page where as they could have moved the three portraits to the edge of the page and created a new column for text along the bottom. I’d say this layout is a little more risky but the conservative placement on the left page balances the odd picture formats on the right page. Again, negative space has been placed this time across the top of the page. You can see how important the negative space is as it is undoubtedly being used in page design across all editorials I’ve looked at. 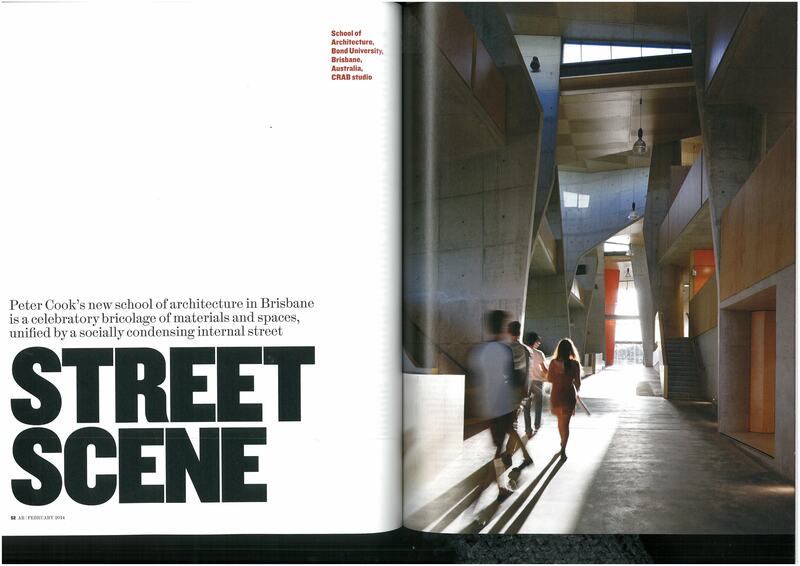 This feature article in The Architectural Review 1404 February 2014, uses a portrait image on a double page spread to establish a story. A landscape image tends to glue the two pages together and offers the feeling of extension as opposed to a feeling of static. Frakcija is a Croatian performing arts magazine providing theoretical and critical support for projects relating to international mainstream media, theatre criticism, drama and theatre studies. Frakcija is published internationally once a year. Again, these layouts are fairly standard but I’d say the content speaks more of an art magazine than a newspaper magazine such as The Sunday Times that I’ve recently looked at. Firstly, the articles contain numerous fonts. Rather than The Sunday Times who want to keep a continuity to their articles in order to brand themselves, this magazine places the importance on the individual article. The font is dependent upon and therefore should compliment and describe the story. I seem to have once again chosen an establishing layout that uses a landscape image that reaches both spreads and leaves a column to one side. The difference this time is that the column not only contains the headline, standfirst and credit line but also the beginning of the main body of text. This is something I like, although I’d say it would depend on practicality and how much story you had to write about. I think both font designs are work well. I like the more news style of the above layout with the use of lines to separate the credits, but I also like the centred simplicity of the layout below and the use of block capital Helvetica. 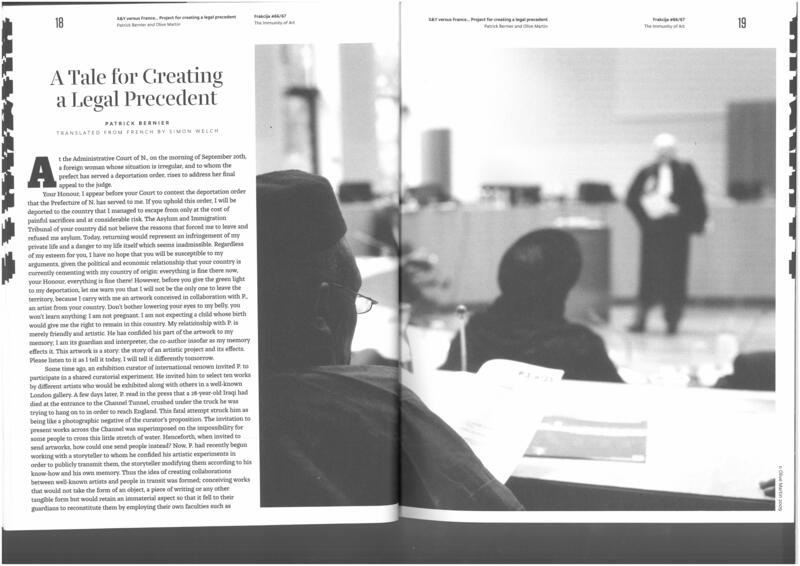 I also like how the magazine have stayed true to the black and white content of the photograph. It does not look at all worse than adding splashes of colour like what we saw in The Sunday Times Magazine. Once again, e are given crucial pieces of information, this time just at the top of the magazine. 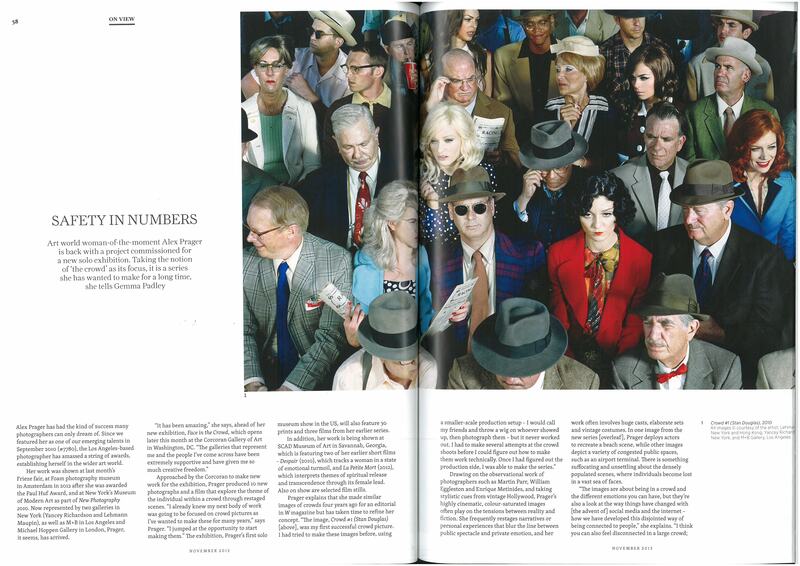 This is a more modern approach as page numbers are traditionally at the bottom right of the page. I have nothing against placing all the information at the top. In fact, I think it makes more sense as it is all key information. I’ve started with what I consider a more standard editorial layout. The Sunday Times Magazine is known for its in-depth journalism and high quality photojournalism on a range of subject matter. Although I’d say the design is fairly safe, it does its job and is sympathetic to its content. The pages speak well to its audience with full bodied journalism that is tidy on the page and photo stories often involving much more negative space for interpretation and contemplation. 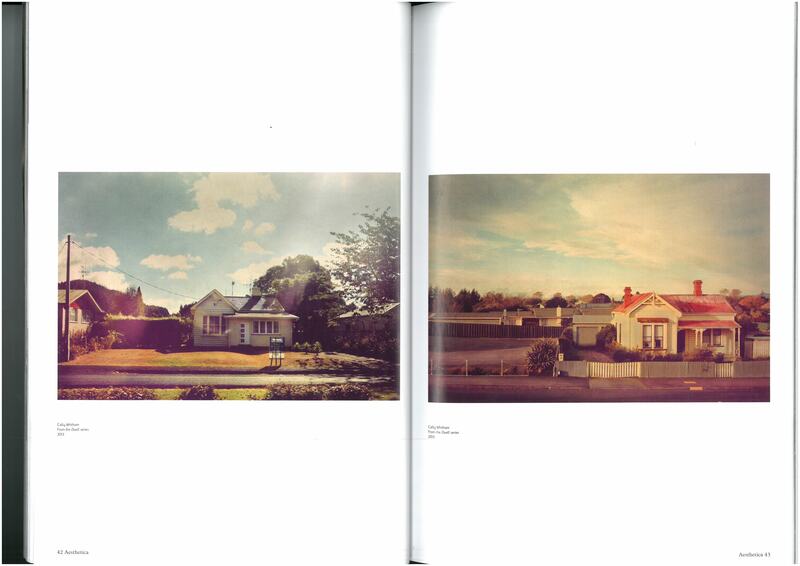 I have chosen numerous spreads from The Sunday Times Magazine that contain elements I like and elements I don’t like. These first pages are stuck on my wall as they contain elements I particularly like. FIrstly, I find myself drawn to establishing images that don’t fill the page but cross over like this, linking the two pages and leaving a natural column for the headline and title and possibly even the start of the story. The headline is placed underneath the standfirst but is still the first text the eyes are drawn to as it is a more familiar headline font that is bold, larger and a darker colour. I think its clever how a quote is used as the headline, giving the article a sophistication. I like the choice of colour for the standfirst, which compliments the green that sits alongside the text and brings out the similar tones of the subjects face, hair and in particular her eyes strengthening the imagery and overall layout. The space at the top and bottom of the page is important I think as it places the content well on the page, as though it’s meant to be there. I think it’s a similar psychology to photographers cropping subjects too close to the edge – it creates an uneasy feeling when looking at it. There is crucial information contained in the far corners of the page, that tell the viewer everything they need to know without needing to leave the page: the title of the magazine, the page number, who has written the article/who the article is about. The left alignment of the text is classic but I don’t think on this occasion it would work aesthetically in any other way as the picture doesn’t leave enough room for it to be centred and a right alignment would create an odd space in between. This simple story page contains a few essential elements that I’ve noted such as a captioned image. The image alone would not be informative journalism. The quote gives a black and white page colour making it a more visually dynamic and less intimidating page, where the content is a text majority. 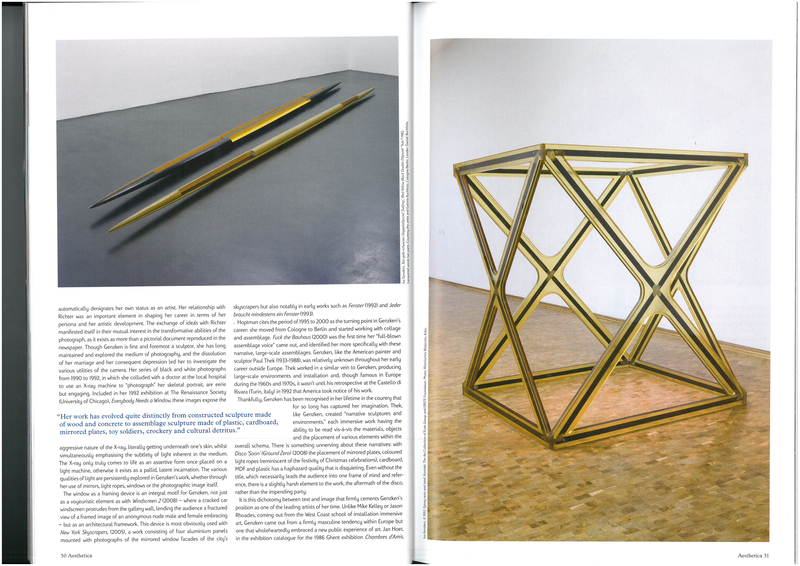 Similar to the establisher page, the content is aligned to the left creating negative space to the right, separating the article from the advertisement and keeping it neat as well as not overwhelming the reader. There is also a similar space between the quote and main body of text which has the same affect on the page. I prefer this style of establishing layout less than the previous as I think it’s difficult to make text look good on top of a photograph in this editorial style. I also enjoy seeing white around a photograph, which places the image on the page. If I’m honest, I find it difficult to describe why I dislike this style of layout. It’s more of an unsettled feeling that I am trying to justify that knowing the objective reasons as there is nothing ‘wrong’ with it. It becomes about personal taste. I think it is because I am too aware of the text and its placement on the photograph. My mind becomes a cursor, moving the text around the page to where I might have placed it instead, rather than being able to just absorb the image and read the words. I do like the simplicity of the headline, standfirst and credit. 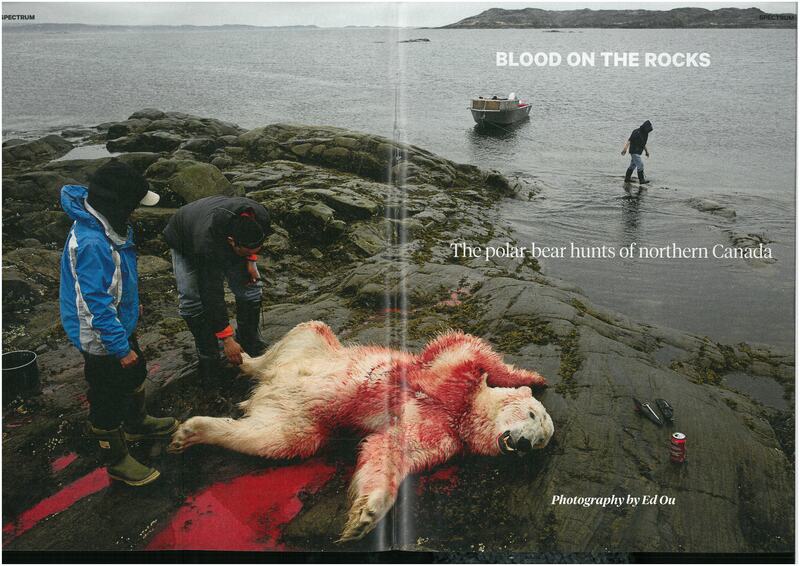 The designer could have chosen the writing to be in the vibrant red but I think that the impact would have taken away from the polar bear. White is clean and simple, as the picture says it all. Unlike the journalism article, the picture essay article contains much less writing and more negative space. The emphasis being on the pictures telling the story. There are eleven pictures in total. I have chosen this page just to show the style of layout. I think it is because of the amount of pictures, the writing element is less necessary. If the story were to be these three pictures alone, we would need more explanation. My article will only be two double page spreads long and contain maybe three to five pictures so more writing is going to be necessary to carry the story – I think. 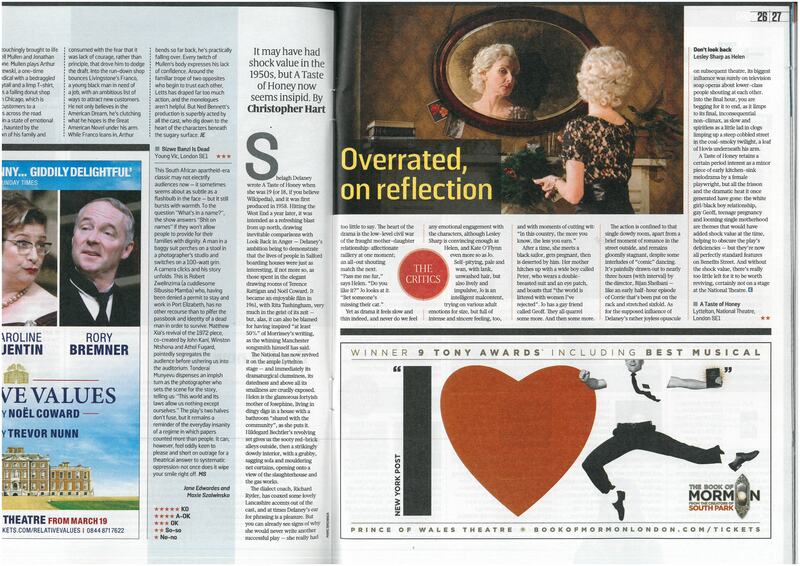 I’m less keen on this layout in the same article about Sally Potter. I find all the gaps of space unpleasing to the eye, as there seems to be no structure to them. 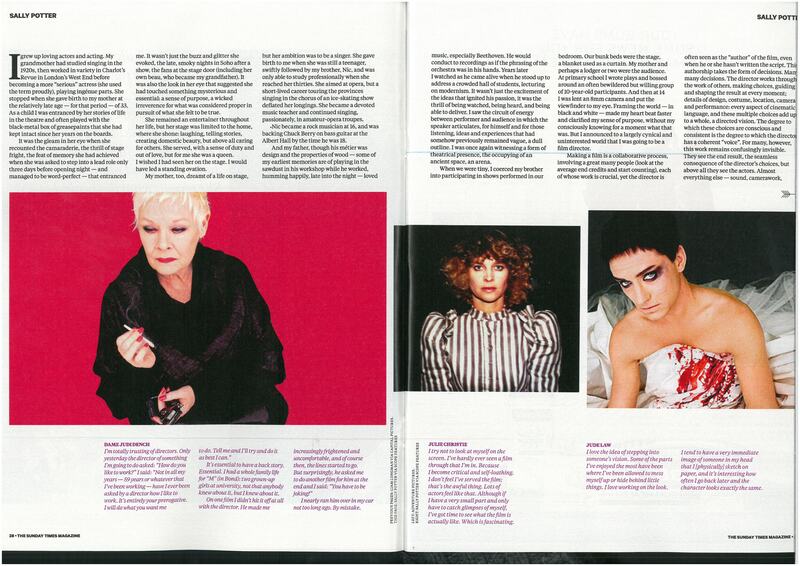 I also can’t figure out why the Judi Dench text is aligned to the right as opposed to Julie Christie and Jude Law, which are both alligned to the left. I wanted to use this an example of headline style I really dislike. Boxes in pictures is something I think looks really intrusive. I can see that it is useful, for images that don’t contain enough negative space to drop text on top of, but I think it looks awful. To me, this whole spread looks overcrowded, which is probably due to the huge adverts, forcing headlines on top of pictures and dropping text anywhere that’s left. Photography or art needs to rule the page and at the same time allow space for reflection. Luckily I won’t have to deal with any compromises such as advertisements. In order to try and make sense of my selections, I’ve photocopied the editorials that caught my eye. Having the physical copy to move around, look at and handle I find far more beneficial than scanning in and looking on a screen. I wonder if the next generation will be saying the same? I’ve happily dedicated this afternoon to spending some quality time searching for editorial layouts that appeal to me in the library’s current issue editorial section. I’ve searched through the editorials on a monthly basis for over a year as standard practice, mainly in search for new photography and artist research. I thought that this search would be different as this time I was looking specifically for layout and design. 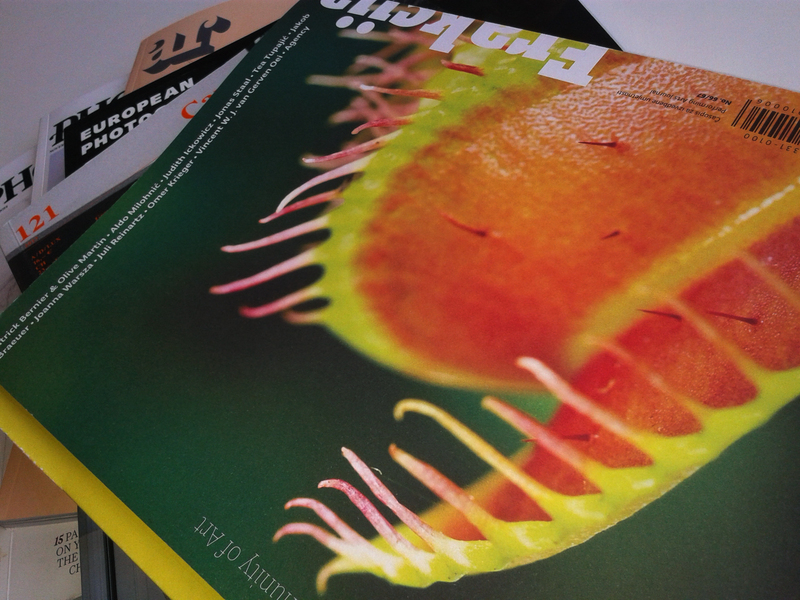 What I’ve come to realise is that the editorials I pick for photography and the editorials I picked for layouts, were largely the same as design and content come hand in hand. In fact, I found I was much more likely to spend time looking for content I liked in an editorial that I liked the design of, whether it be the quality of paper, layout of spreads, or even the fonts. I also found I was attracted to spreads that included a lot of negative space. These were usually the more conceptual art and photography editorials, as opposed to the straight forward news magazines. 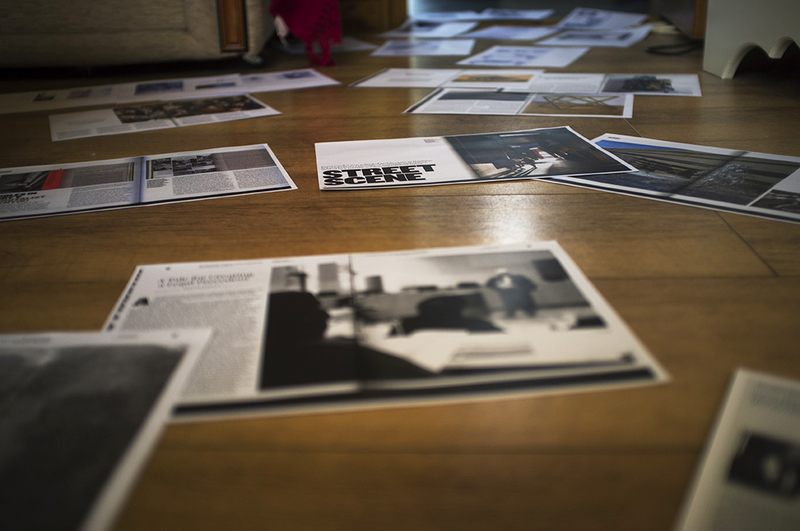 I’ve made a pile of editorials to search through and will highlight content that contains elements of design I either like or dislike in order to analyse and discuss why this might be. This reference book by Martin Evening is written by a professional working photographer for professional and enthusiastic amateur photographers, although its goal is to serve as a guide book for any photographer using Photoshop CS6. It was introduced to me during my ACA Photoshop qualification training and has been my bible ever since. 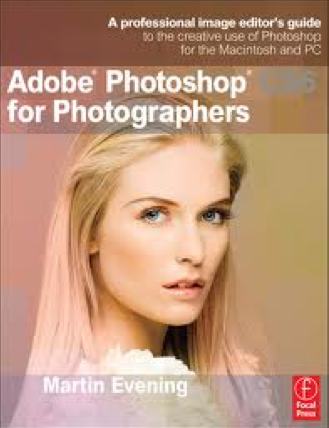 I highly recommend it to any enthusiastic or professional photographer using Photoshop.